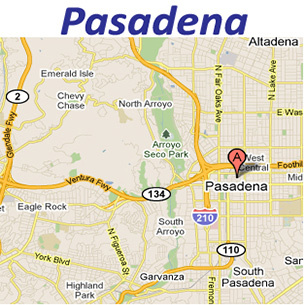 We are proud to be the number one appliance repair company in Los Angeles. If your refrigerator broke, we are the team to call. 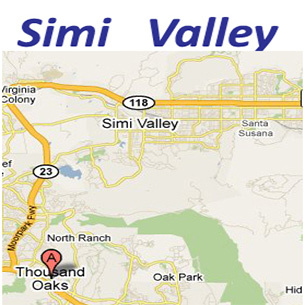 We provide appliance repair services in San Fernando Valley, Thousand Oaks, Simi Valley, Santa Clarita and Pasadena. Got lucky yesterday. After a repair suggestion from Amana on my Antiques Roadshow candidate-leaking inside-circa 1989 fridge..a suggestion that went no-where,it was with much trepidation I took a chance and clicked on Home Appliance Repair and spoke to Steve . My fridge had built up ice..a LOT of ice. The drain was totally clogged with it and water was filling a large sponge every day. Steve came out...and actually had to dismantle the fridge to what I d call 99% of assembly line completion in order to get at the ice,which again was a LOT. Everything came off or away,doors,pans,wires,bulbs,coils.hoses etc After 2 hours,and a lot hot water and work, Steve put all back together, fixed.No leaks, works like new. The $$ charge was MORE than fair. + he had to have saved me over a $1,000 easily.. I can t say enough about his service his friendly manner and his total knowledge of appliances..I d recommend him anytime. We recently had a service done on our LG refrigerator. The water from the fridge stopped running. The repair man did a wonderful job, and the water is cold and running perfectly now. Sherman Oaks appliance repairman is my house favorite, I hired them a few times, every time my fridge or dishwasher breaks down, it is no brainer for these guys. And they don't charge a lot. Today my dishwasher works again. Thank you Greg! The home appliance repair guy did a wonderful job in my Encino home, the Dishwasher is doing its job again. 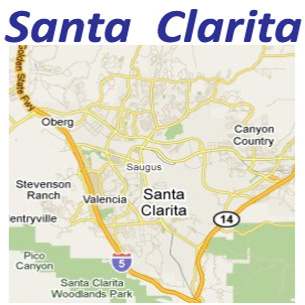 Very positive experience about Granada Hills appliance repair guys. I'm glad i hired them. The appliance technician did a wonderful job, the over the oven hood is working again. Clothes Dryer works again. Thank you Steve! Whatever the specific problem is with your home appliance, we understand how frustrating it can be when any of your major appliances aren't working right. It can really put a wrench in the gears of your already busy, hectic life, and nobody wants to deal with any extra stress. We understand that getting things back to normal is a high priority in your life, but so is getting the job done right, and at an affordable price. You can't get a better value for your appliance repair anywhere else! Give it a try, contact us for an estimate! Refrigerators, freezers, washers, dryers, ovens, stoves, ranges, heaters, garbage disposals, dishwashers, microwaves... did we miss something? Let us know! Admiral, Amana, American Standard, ASKO, Bosch, Brown, Dacor, Frigidaire, Gaffers and Sattler, Gaggenau, GE, Gibson, Hampton Bay, Hotpoint, Kenmore, Kitchen Aid, LG, Magic Chef, Maytag, Modern Maid, Montgomery Wards, Norge, O'Keefe and Merritt, Samsung, Sanyo, Sears Signature, Speed Queen, Sub Zero, Thermador, U-line (Uline), Viking, Westinghouse, Whirlpool, Wolf, and more. Home Appliance Repair professionals trained to fix all washers, dryers, refrigerators, ovens, stoves, dishwashers, ranges, microwave ovens, freezers and ice makers. Email: Please fill out the contact form. Home Appliances Repair © Copyright 2019. All Rights Reserved.